I read about this service and thought, why not! We couldn't enjoy the cottage as the mosquitoes were so bad. Just a run from the door to the car we'd get bit! The first time Mosquito Buzz came out and provided their service to us it was amazing! Not a mosquito to be had! Since then we have been able to enjoy the outdoors day and night! You won't be disappointed!!! Excellent service! Barely any mosquitoes in our yard during the summer. Living up near Algonquin Park, we weren't even able to enjoy the outside in the evenings up here, let alone the really bad months of May and June. What a difference Mosquito Buzz made! This was the most time we have ever spent outside in the summer. Everyone was so knowledgeable and the service was excellent - always showed up on schedule, which made it really seamless for us. We recommend this to everyone we know! Thanks again. I used to get eaten alive if I spent more than 5 minutes outside. We tried the mosquito control service after a friend told us about it and have never been so happy. I have yet to get a mosquito bite since. We have spent hundreds of $$$ on mosquito magnets and nearly every other contraption to keep mosquitoes away at the cottage with little to no success. We couldn’t live without mosquito control service. No mosquitoes all season long. Our daughters outdoor wedding couldn’t have been more enjoyable. We literally didn’t have any bugs! We are so happy there were no mosquitoes all day long. 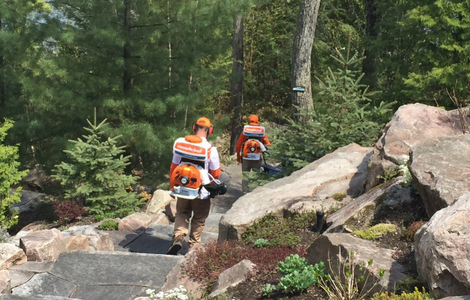 Not only was the service extremely effective in ridding our yard of mosquitos, it was also effective in lessening the number of black flies and deer flies. Won't go a year without using your service. EXCELLENT SERVICE!! AMAZING PERSON These Employees (Amanda & Leah) are really the definition of a gentlewoman as well as professional. This is the best customer service I have ever had the pleasure to meet. They was a totally professional in every way. Best of the best. Many thanks. Everything was great. We were impressed with the service. Only had 2-3 mosquitoes all season long. Great Service, excellent follow through and follow up! Your technicians were wonderful. Informative and approachable. The applications were effective and 'non-intrusive". I can offer no improvements. I was very satisfied. Your company was easy to be with. If I had any questions, the technician or a representative, via email, was always helpful. Overall I am happy with your services. You reply to emails promptly and arrive at scheduled appointments. We have found it very effective. I was very impressed with your product, I hope you will maintain the monthly option as some months require treatment more than others. We back onto woodland and control was very rewarding. Mosquito.buzz delivered exactly what they said they would do. Absolutely no mosquitoes. I am amazed it works as well as they said it would. They made me a believer. First year of use and appears that it was a significant improvement in controlling mosquitoes...sure beats maintaining 4-5 Mosquito Magnets!! Service was well done. I have no concerns. Friendly staff and I like the reminders of upcoming visits. We were very pleased with the service and performance of the barrier spray. Without this service we would have been unable to enjoy the outdoors during the summer season. We have used this service for 2 seasons now and Mosquito Buzz personel have been very responsive, personable, and professional We had previously used another company that offered a similar service and they proved to be very unreliable. We highly recommend Mosquito Buzz. Honestly, the sevice was great. The recommended time between applications, was very close, thus not allowing too many mosquitos to try to grow again. Our backyard has alot of greenery and are situated close to a Conservation area. So sitting outside after 8:00 was not possible unless we sat in the Mesh covered gazebo. We were very impressed with the product, and would tell anyone who is sceptical, like i was, to give it a try.. you wont be disappointed. I will be using the product again next year. Thanks again for a great summer with 95% less mosquitos. I feel that your company excels in their service, product and advice in explaining to their customers the important information regarding their product. Appointments are kept when advised by your offices and the reminders are very welcome to most people. Also, I would like to comment on your personnel - very pleasant and respectful in answering any queries posed to them. Congratulations. Nothing really. You lived up to your promises, and communicated regularly and clearly on what services were being performed and when. We have been very happy with your product and your staff. Nothing. When I had a issue. They were good to solve the problems. It was a great summer and was able to enjoy sitting out. Your product and service is great! We were really pleased with the service including the professional approach of the technician. We noticed a significant improvement following treatment. The treatment worked great, barely any bugs out on the weekend it was awesome. Thanks a bunch! We are very pleased with your service. Quick question, I think I have carpenter ants in the garage. Can you treat this problem? Steve was very polite and professional (The kids also really enjoyed watching him apply the barrier). We have been pleased with the results, but realize that we need to be re-sprayed just before the 20th day. I will be speaking to my neighbour to see if he is still interested.. if so, I'll give him your number! Thanks! Just to let you know that whatever you are using to keep those little pests away, you are awesome!! It really really works. It's a miracle I must say. Bravo!! To all people involved. I am enjoying sitting in the backyard reading nice book thanks to this bug spray. Mark whatever you guys are doing seems to be working... keep up the good work!! FYI. Zero mosquitos for the first couple weeks after the last treatment. Working great. I am running zero magnets this year. 5 Commercial size magnets last year and still had lots. Not even comparable to last year. We have been outside the whole month of June which has not happened in ten years we have lived here. Chat soon and thanks! Thank you so much for the notifications of your arrivals and the work that has been done at that time. We have definitely noticed a difference on the property and would certainly recommend your services. Thanks again! 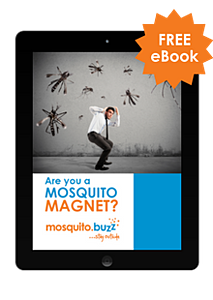 Spending time outside has never been as enjoyable thanks to the mosquito control service. We never could have imagined the service would be effective as it is. Virtually no mosquitoes all season long. We are very impressed with the technician that comes to the cottage to do the work. Our friends told us about this service and we thought it was to good to be true. As skeptical as I was at first, the product really works. No more mosquito bites. We were considering investing thousands of dollars screening in our gazebo and deck areas because we couldn’t sit outside without mosquitoes biting us. Our kids love the results as much as we do. No covering ourselves in DEET bug spray. I didn’t expect we could find a company to service our island property. The mosquitoes are terrible and we truly felt like were stranded until we started the service. I only wish I knew about the service sooner. Our technician Steve is a pleasure to see every three weeks.